Hello beautiful people! I have returned from my vacation and am getting back into the grind of things. It was wonderful having a few days in the fresh air, away from it all! 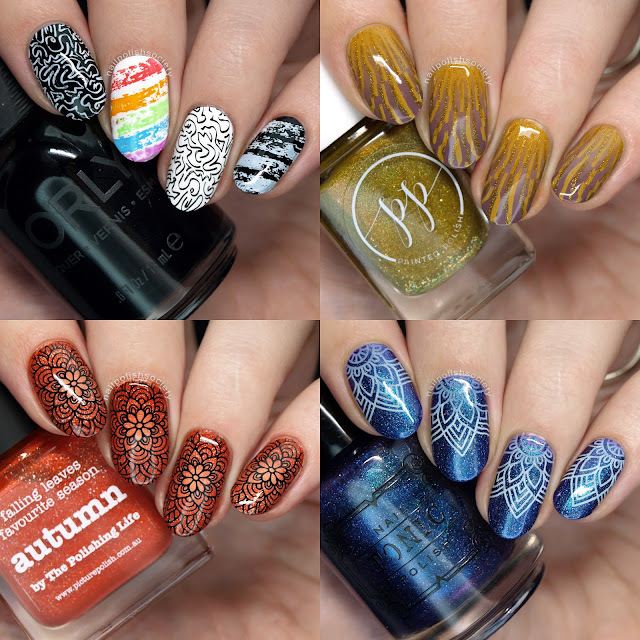 For today's post I have two new UberChic Beauty stamping plates to share, both of which I love! 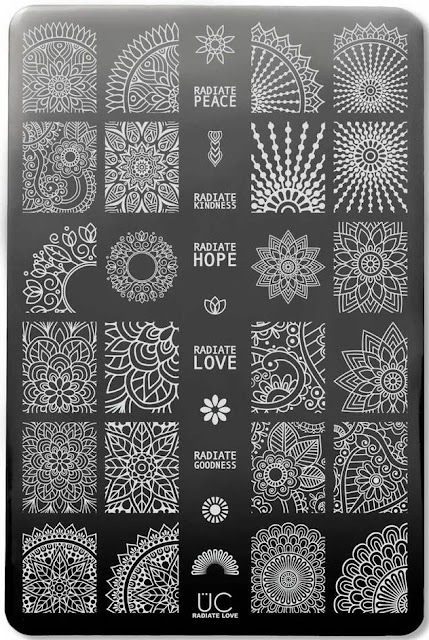 The Radiate Love plate is kind of a spin-off of the Mandala Love plate and has a lot of really beautiful intricate designs. I was excited for a third Texture-licious plate because those are some of my favorites! Let's take a look.. There is a very subtle stamped gradient in this mani that my camera didn't pick up well. That's why you'll see just a little bit of purple near my cuticles. This is not my usual color palette but I wanted to try something new. I can't say I love it on me, but maybe someone else will! This is my favorite one! Aren't those textures just fabulous? I love the brushstroke image the most, but because it was on the edge of the plate it was a little challenging to use. The Radiate Love plate retails for $14.99 and the Texture-licious 03 plate retails for $7.99. They are available now through UberChic Beauty's website. Do you have a favorite look from these plates? I'd love to know your thoughts!